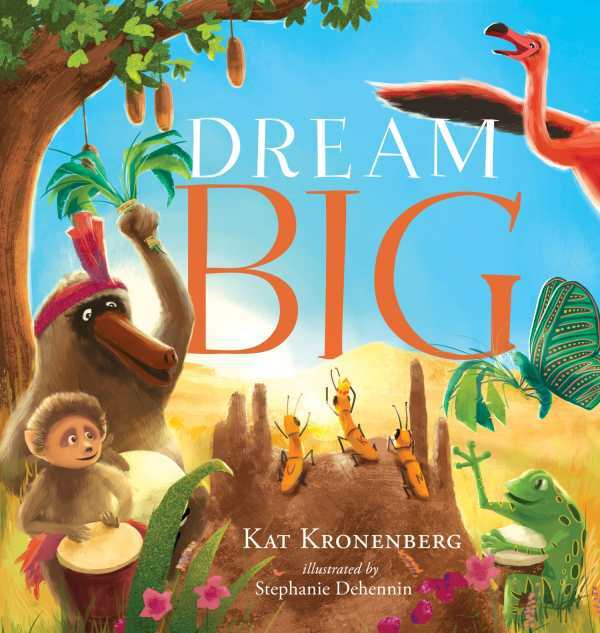 As Baboon taps out a beat on his drum, he is inspired by the magic of wishing on a star, in Kat Kronenberg’s Dream Big, a story about friendship, positive thinking, and believing in yourself. Illustrations from Stephanie Dehennin feature a brilliant East African sun and twinkling night sky as a variety of creatures from timid Tadpole to lonely Termite follow their hearts. Suggestions for interactive games, crafts, and activities will motivate little dreamers everywhere.